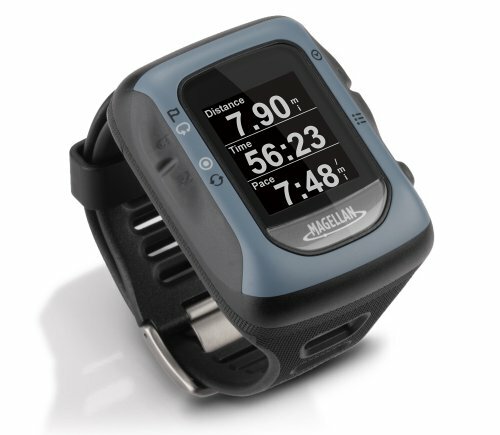 Switch is a crossover GPS watch designed primarily for running but expandable to cycling, swimming and other outdoor activities. Switch tracks position precisely with GPS satellite data and records time, distance, speed/pace, elevation and more. High-sensitivity GPS allows Switch to acquire satellites quickly and track movement in many tough environments - near tall buildings, on mountainous terrain or under heavy tree cover. By using ANT+TM wireless technology, the Switch easily connects to a Magellan heart rate monitor or any ANT+ compatible heart rate monitor, foot pod, bike speed/cadence sensor and power meter. Boasting a high-resolution display, Switch provides superior readability in varying light conditions - especially bright light. With 8 hours of battery life in workout mode and 3 weeks in watch mode using a rechargeable lithium-ion battery, Switch has enough gas in the tank to capture most activities. And for endurance athletes, Magellan offers an optional Battery Extender Pack that provides 16 hours of additional battery life, for a total of 24 hours. Switch breaks away from the pack by introducing a new training concept for GPS watches - Activity Pacer. Once a desired distance, time and speed/pace have been set, Activity Pacer not only shows the targeted progress, but more importantly, provides specific targets to attain or maintain the original goal.